Hq. 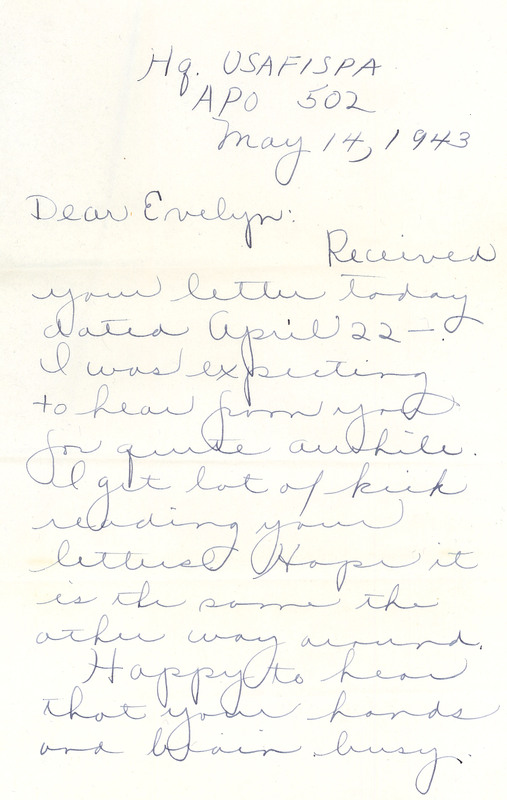 USAFISPA APO 502 May 14, 1943 Dear Evelyn: Received your letter today dated April 22-. I was expecting to hear from you for quite awhile. I get lot of kick reading your letters. Hope it is the same the other way around. Happy to hear that your hands and brain busy.